Description Size 70cm x 55cm (28" x 22"). 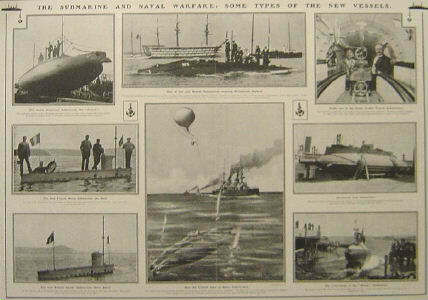 Eight illustrations of the American submarine Fulton, British submarine No. 5, the first French naval submarine, the French Goubet submarine, Germany's first submarine and the U.S.A. naval Shark submarine.